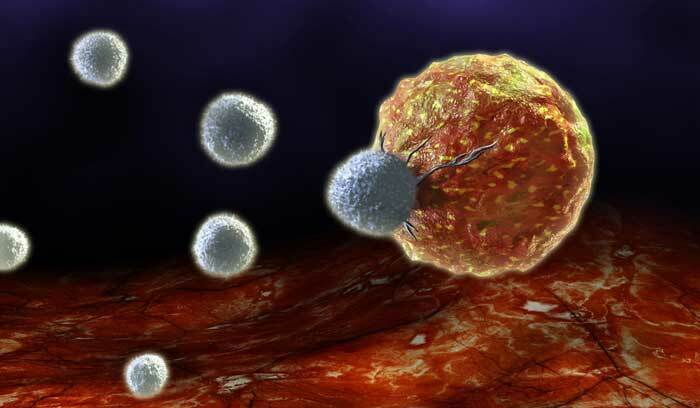 Killer T-Cell is attacking cancerous cell in the body. Our body is constantly fighting with many kinds of microbes which include bacteria, viruses, and parasites that constantly attack our body. These microbes are present outside of the body, the skin, and inside the body. Our body fights them with the help of immune system. Immune system is a collection of some organs, cells, and tissues in our body that work with each other to fight with harmful microbes. The organs that are part of our body’s immune system are spleen, thymus, lymph nodes, and bone marrow. The immune system fights with harmful microbes by developing cells that are specialized in fighting with microbes. There are various types of these cells; some cells are effective only for a certain kind of microbes. The immunity cells are stored throughout our body and wait for a signal about entering of harmful microbes to start fighting. Our body’s immune system is constantly in communication with all parts of the body. When harmful microbes enter our body, they destroy the body cells and disturb the functioning of cells. When these kinds of activities are detected by the immune system, it sends fighting cells to that part of the body which under attack of harmful microbes (pathogens). Antigens are the molecules that are attached to the surface of harmful microbes. Our immune system recognizes the microbes from antigens which it carries. After recognizing microbes from their antigens, the immune system develops its response by producing antibodies that can neutralize these antigens. The antibodies are produced by a type of white blood cells called B cells. There are various types of immune system’s cell which differ from each other by their function. The less technical term for these kinds of cells is white blood cells. These cells are present in the bloodstreams of our body. B Cells – B cells are specialized in producing antibodies that can neutralize the antigens. There are around 10 billion different B cells, also called B lymphocytes, in the body of an adult person. These different B cell makes different antigens to neutralize a wide variety of foreign invaders. For example, if your body gets infected with flu, then only a specific B cell will produce antibodies to fight with the flu. T Cells – T cells perform various jobs and the most important job they perform is by getting rid of the cells in our body that have been infected by invaders. Helper T Cells – It is the type of T cells which helps B cells to make antibodies and gives instruction to killer T cells for attacking invaders. Killer T Cells – It is the type of T cells which is specialized in killing the infected cells directly. Memory Cells – The main job of memory cells is to remember the antigens of invaders that have attacked our body recently. So in future fighting with the known invaders become easier. 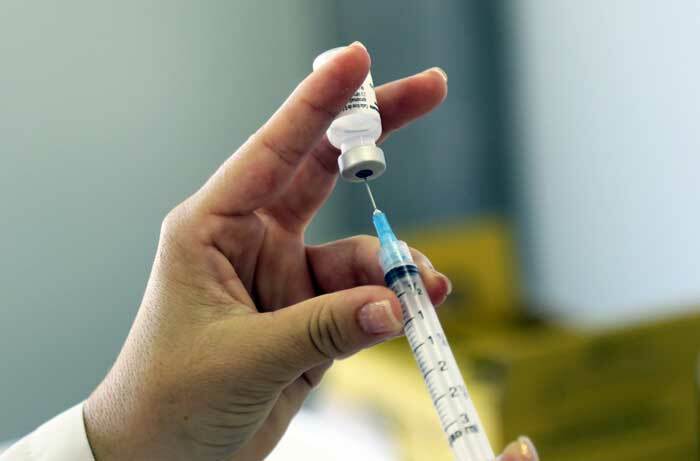 In vaccination, our bodies are injected with a vaccine for the protection from a specific disease such as flu. A vaccine contains microbes of a specific disease which are dead or modified in such a way that they can’t give any harm to our body. When the vaccine is injected in our body, our immune system builds a response against that disease by producing antibodies. Since the microbes are already modified, so our immune system easily neutralizes them. After this, our immune system has the antibodies for that disease. So when the real disease will enter the body, it will quickly be destroyed. When you get a fever, it is one of the signs that your body is fighting against infection. Fever helps our body in releasing more white blood cells. If you are getting less than 5 hours of sleep every night, then your immune system will likely be depressed along with you. This can result in increased chances of getting diseases. Keeping your mood pleasant helps your immune system to stay strong. So, try to do some activities that enhance the mood, like exercising, helping a person, and playing sports. Abdul Wahab, "Immune System," in Science4Fun, April 12, 2019, http://science4fun.info/immune-system/.